Parisian Panaché At A Price ← You Want Me To Wear What? I try to avoid commenting on expensive items purely because of their price tag. Some clothes are expensive, some are not, but they don’t warrant criticism based solely on their price tag. 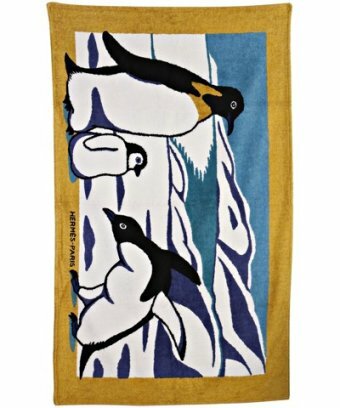 Or at least, that’s what I thought, until I came across this cavalcade of Hermes beach towels on Bluefly. Man, if a towel with a couple tigers on it can do all that to a day at the beach, I wonder what my Jurassic Park: The Ride towel does? Maybe it adds terror and carnivorism to my day at the beach. 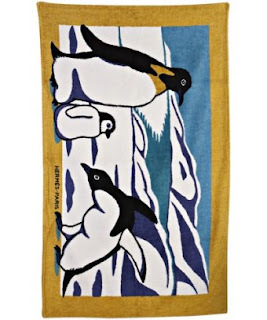 But the most important question is, now that you’ve bought this $500 beach towel, how will people know that you are lounging on a exorbitantly priced towel? Will they just sense the Parisian panaché and sophistication? Ah. With a giant “Hermes” logo. Yeah, that’d do it. Panache doesn't have an accent, did they really spell it like that on their own website? 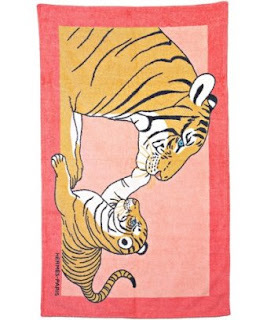 Yeah, they do, I guess to give it a little extra panache. I took Spanish in high school, so I didn't question it, but now I'm just going to keep it because I think it's funny that they misspelled their classy word.